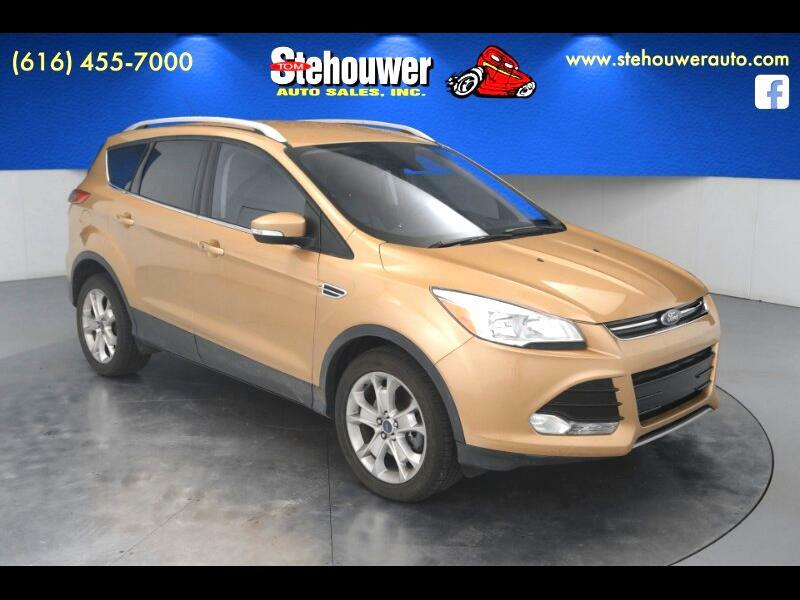 2015 Ford Escape Titanium AWD EcoBoost 1.6L I4 GTDi DOHC Turbocharged VCT 6-Speed Automatic Clean CARFAX. Actual vehicle shown!, AWD, ABS brakes, Alloy wheels, Four wheel independent suspension, Heated door mirrors, Heated front seats, Power driver seat, Power Liftgate, SYNC w/MyFord Touch & SYNC Services. 22/29 City/Highway MPG Odometer is 3250 miles below market average!